Part of an expert skin care routine is exfoliation, but this process can be particularly harsh on the skin. Every skin type requires some form of exfoliation, but it’s best to find out what your complexion can handle before you start the process. Dermatologist Vermen Verallo-Rowell also says that it’s best to restore the skin’s natural oils immediately after exfoliating to bring balance to your complexion and keep your skin from getting irritated. You can also look for proactive plus reviews when you’re looking for the right products for clear skin. 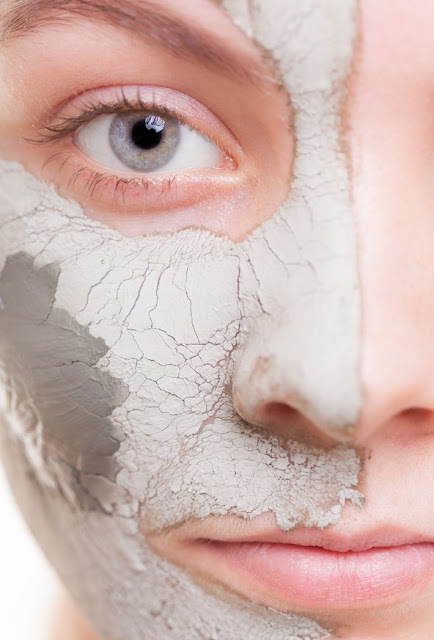 Whether you have very oily skin, extremely dry skin or a combination complexion depending on the seasons, environmental conditions or hormone fluctuations, here are some suggestions for exfoliating that will keep your complexion looking its best. If you don’t have many breakouts and your skin is pretty problem-free, you may not have to invest in too many in-depth skin treatments, but exfoliation is still necessary. Exfoliators that have enzymes to quickly break down any impurities on the skin and get rid of any minor blemishes or imperfects are likely best for you. If you choose to use exfoliators with beads, it’s best to choose products that have beads made from jojoba, since this ingredient is gentle on the skin and helps to restore your complexion before and after exfoliation. Sensitive skin should be exfoliated gently, so it’s best to choose a cleanser with enzymes or soothing oils and used an electronic brush or washcloth to apply the cleanser to the skin. This makes exfoliation less abrasive. If you exfoliate with a cleanser that you’ve already used, you won’t have to worry about your sensitive skin having a reaction. Follow exfoliation with a gentle oil that won’t clog the pores like avocado or jojoba oil to seal in the effects of the exfoliation. You may be apprehensive about exfoliating if you have dry skin, but you still need to eliminate dead skin cells, so a gentle exfoliator is best. It’s also a good idea to moisturize your skin with oils that will replenish your complexion so you can avoid skin irritation. You also don’t have to exfoliate that often – once a month should be sufficient. To control the intensity of your exfoliation, you add your favorite facial cleanser to an electric facial brush and give your skin a deep cleansing. A moisturizer with retinol or glycolic acid will also gently exfoliate the skin and can be used on dry complexions about once or week. Make sure that you don’t exfoliate too often when you have oily skin. This will cause your skin to produce even more oil, since it signals to your cells that your skin is not moisturized enough. A facial or body scrub is the right choice for exfoliating oily skin, since this is the most effective way to bring impurities to the surface and rinse them away. Exfoliators that contains charcoal are ideal for oily complexions, since the charcoal soaks up extra oil and draws toxins out of the skin. When you have combination skin, you have both oily and dry areas of your skin, which means you’ll need to take special care when you exfoliate. Products that contain fruit enzymes are usually best, since this remove dead skin cells and give you a fresh glow without stripping the skin of natural oils. Be sure to use a light moisturizer after exfoliation to keep your complexion balanced and treat any dry spots that may be extra sensitive after you exfoliate. As we age, our skin doesn’t turn over new cells as often, which is why we have to increase the times we exfoliate. It’s ideal to exfoliate about twice a week, and to use a product that contains glycolic acid, which gently gets rid of dead skin cells without causing redness or peeling. It may be best to try a combination of these exfoliation methods if you notice that your skin is drier or oilier than usual. Changing the way you exfoliate your skin based on the season could help you to balance the moisture levels in your complexion and retain a healthy glow every day.